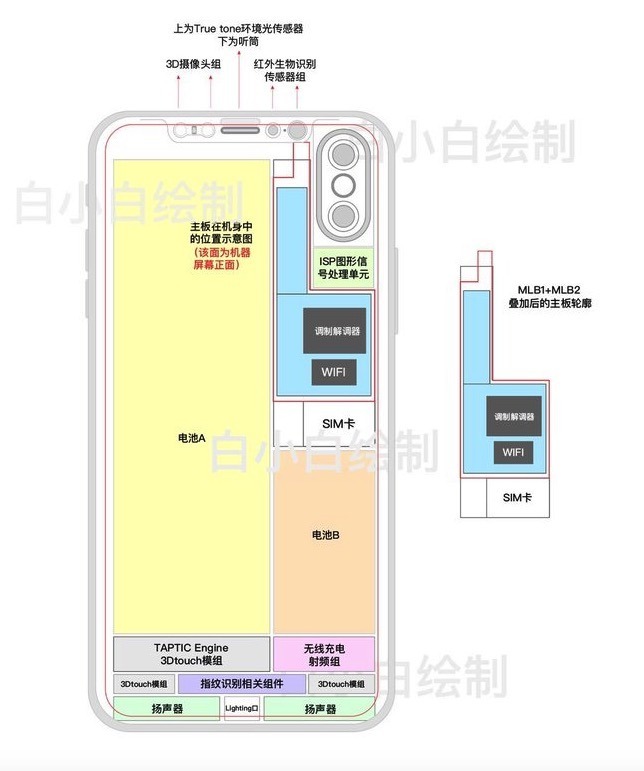 Adding to the cacophony of recent "iPhone 8" rumors, a purported illustration of the layout of the interior of the high-end future iPhone has appeared on Chinese social media showing a conventional Touch ID location, and some other realignments needed for a vertical camera module position. 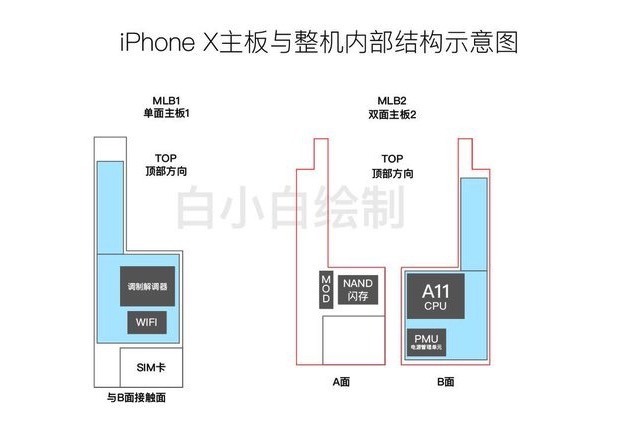 The "iPhone 8" internal circuit board layout diagrams appeared on Chinese social media venue Weibo late Sunday night. They show almost nothing specific about the phone inherent to a new model, with the exception of the change in position of some modules necessitated by a vertical, rather than horizontal camera module layout. The processor is predictably labeled as the "A11" chip on diagrams of what appears to be a stacked motherboard. If the document is accurate, it also appears that the phone is sticking with a removable SIM, instead of migrating to the Apple SIM technology. Not moved from its existing location is the Taptic Engine module. Beneath that are board spaces for 3D Touch, which if proportionately correct, are larger than circuitry in the iPhone 7 family of devices. As with Sunday's alleged CNC model, there is no way to check the authenticity of the diagram. If fabricated, it and the CNC model are based on the diagram "leak" from April 17, and not the ones featuring a rear case penetration for Touch ID. New technologies rumored to be included in the "iPhone 8" include an edge-to-edge OLED panel with a 5.1-inch user space, a larger battery, and a 3D facial scanner for use in augmented reality and biometric identification. Some reports have pegged the starting price of the "iPhone 8" at more than $1,000.